Ooty, also known as Udagamandalam, is in Tamil Nadu and is one of those popular places to visit in India that has something for everyone. Located amidst the Nilgiri hills, it is one of the most sought-after holiday destinations. With amazing scenic views and attractions like tea gardens and waterfalls, Ooty is definitely worth visiting. Ooty is one of popular honeymoon destinations of India. It is also frequented by those who love wildlife and nature. Even artists love exploring this place as it is beautiful and serene. So, to take a break from your hectic lifestyle, you must head to Ooty. It is known as the Queen of the Nilgiris and has an old world charm due to its colonial architecture and amazing feel. If you are looking for a charming place to relax and unwind, Ooty is the place to visit in India with your family. The weather here is pleasant throughout the year due to its location. It is 7500 feet above the sea level. Here you can find eucalyptus trees and tree plantations. Coffee and tea are mainly cultivated here, due to its weather condition. Toda tribe is the aboriginal natives of this place, and they are famous for their handicrafts items. Especially the Shawls with embroidery work of white red and black are their signature products, which are found in this place. Ooty is also known for aromatherapy and essential oils like lemongrass, eucalyptus, clove, and geranium. When you are searching for the best and most popular getaways in south India, Ooty is the right choice. There are numerous tourist places to visit in Ooty with family. The best time to visit Ooty is April to November. But due to the amazing weather all through the year, you can visit any time of the year. Udagamandalam has different charms for its visitors in different seasons so whenever you will come, you will not miss the beauty of this place. But if you want to indulge in different kinds of adventure sports here, then you should come between March and June as during this time, the temperature of this place goes to 20 degree Celsius allowing you to enjoy all the adventure activities that this place has to offer. During July and September, Ooty experiences heavy rainfall. So, you can enjoy the beauty of this place but not adventure sports. From October to February, the weather becomes cold and is perfect for sightseeing, which brings in a significant number of people to the tourist places in Ooty. The temperature drops to as low as 5-degree Celsius. If you want to reach Ooty by air, then you have to book your tickets to Coimbatore, as Ooty doesn’t have its own airport. Ooty is mainly connected to the other parts of the country by train. If you choose to travel by train then you will have to take the train via Mettupalayam, from Coimbatore. Another way to reach Ooty is via road journey, which allows you to experience the amazing locale and picturesque sceneries of this place.You can also avail buses from the major cities of south India like Bangalore, Chennai and others. But, travelling via toy train would give you the best travel experience! For roaming within the city cabs and private cars are available easily. Alternatively, riding a cycle or walking through the beautiful roads of this place is also worth it. There are many tourist places in Ooty, whether it is Kotagiri trekking, going for a 2-hour jeep safari amidst the Nilgiri Reserve, a walk amidst some of the significant artistic figures in the wax model or a half-day sightseeing of the mesmerizing and multitudinous destination of Coonoor, if you visit Ooty, then you will get the feeling that there are many places to visit in Ooty before you die. Let's get started with a few of them. Ooty is picture perfect, a great destination for photographers! And to capture the scenic beauty of Coonoor, half-day sightseeing is enough. Dolphin’s Nose and Lamb’s Rock are some astounding places to visit in Coonoor! The lamb's rock, situated seven kilometers from the central city of Coonoor is a mountainous region that is strikingly beautiful. Dolphin's Nose, one of the other main tourist attractions of Coonoor can be viewed from the Lamb’s Rock. Trekking is always a fun activity, especially with friends. If you are looking out for some activities to experience some adrenaline rush, then it is the Kotagiri Trek that can do wonders. And you get to enjoy the Catherine Falls, the second highest waterfall in the Nilgiri Mountains, and a quick visit to the tea factory, which falls on the way. Kotagiri Trek is situated in the Nilgiri district at a height of 5890 feet. 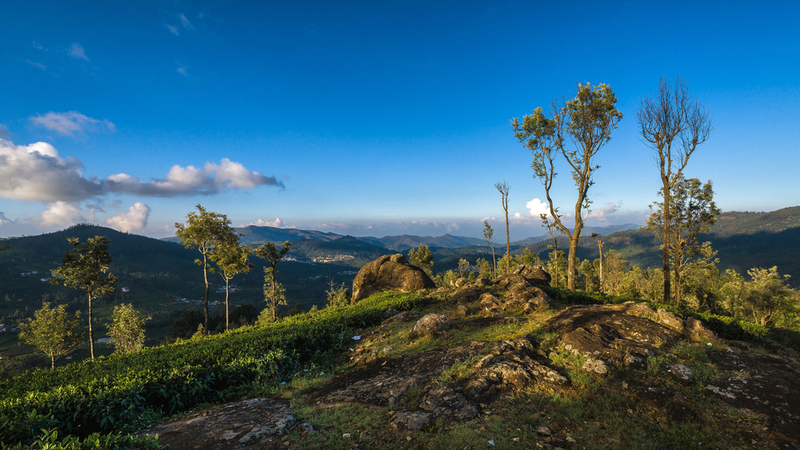 The trail starts in the tea estates, and there is a valley on the river path and ends at Mettupalayam-Kotagiri junction. Jeep safari at Mudumalai National Park is another activity which comes under some of the must-visit tourist places in Ooty. Mudumalai National Park located in the northeast of Nilgiri Mountain is a famous tiger reserve. Numerous endangered species like the Bengal tiger, long-billed vulture, white-rumped vulture, Indian leopard and others can be seen in this park. You can enjoy watching the animals from a short distance and click pictures to capture the memories. Apart from these, there is a wax museum where you can see statues of many famous personalities from Marilyn Monroe to Mahatma Gandhi to Schwarzenegger. Visiting this place is a fun experience. Kids especially love to watch the wax statues. Among other adventure activities, the Eagle Dare Adventure is one of its kinds. It gives an adrenaline pumping experience like no other. You will get a taste of the valley crossing, rappelling, wall climbing and commando net. Even though it looks dangerous, the authority there maintains all the activities under strict supervision, following various safety standards. If you are looking for places to visit in Ooty within 10,000, you should do your hotel bookings way before or visit in off season. If you are planning to visit Ooty, then you must book your hotel early, as throughout the year this place is full of tourists and thus finding a good hotel sometimes becomes a hassle. Thus, whether you are looking for cheap Ooty hotels or luxurious stay, you must act quickly and start the booking process way ahead of your journey date. Some famous Ooty hotels like Accord Highland, Fortune Hotel Sullivan Court, Club Mahindra Derby Green, Sinclair’s Retreat offer all kinds of amenities like Wi-Fi connection, housekeeping, laundry, free parking, and travel assistance along with several other amenities. 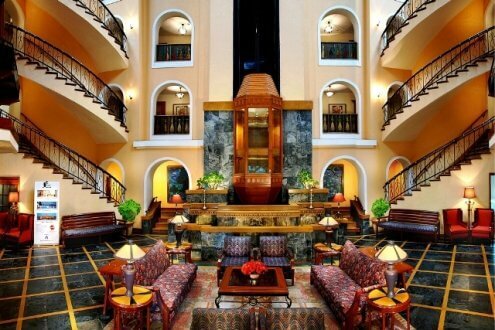 Try booking a hotel in Ooty online for a hassle free and safe booking experience.